Set amidst of the lush setting of Dixon’s Creek, Mandala Wines restaurant cafe is a perfect setting for you to relax and enjoy great food and wine. Mandala’s cellar door and restaurant is a stylish venue with a hint of country flavour nestled within a beautiful setting. The winery’s inviting setting welcomes visitors to enjoy a range of wines and scrumptious dishes in their on site restaurant. Established almost two decades ago, Mandala Wines is a family operated vineyard, which is known for its exotic and classic white and red wines. With acres of grape producing lands, the Mandala Wines produces some of the best quality wines within its property. 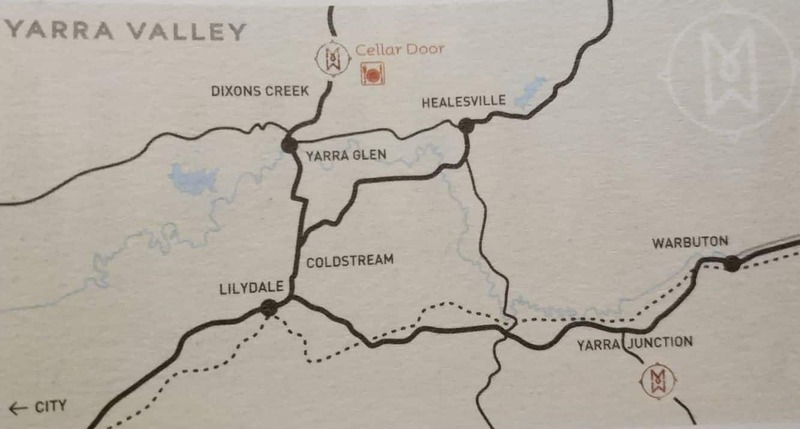 They have two vineyards in the Yarra Valley, one in Dixons Creek and the other in Yarra Junction which grow Pinot Noir, Chardonnay, Cabernet Sauvignon and other cool climate varietals. Visitors interested in taking a winery tour can enjoy watching the wine making process at the cellar door and stop by the tasting room to try some of the latest creations. All current release wines are available to taste every day so come down to Mandala Wines and taste some of their varieties. The stylish restaurant at the Mandala Winery’s property is a great venue to settle in and to try a variety of local delicacies. This glass-walled restaurant offers a magnificent view of the vineyard setting with the blue-tinged hill ranges in the backdrop. Their chefs bring a focus on locally sourced, seasonal food with European influences. The menu changes seasonally and reflects a number of Yarra Valley’s authentic dishes including the mountain ash-smoked salmon, fresh heirloom vegetables, poached meats and traditional pot pies, delectable desserts and a variety of wines. If you are looking for accommodation in the Yarra Valley, click on the link below to find the best accommodation deals.